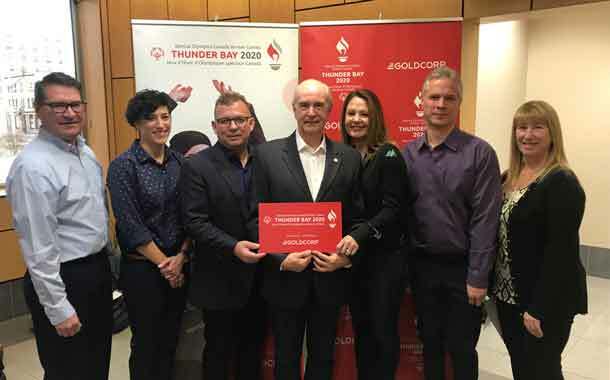 Goldcorp was announced as the presenting sponsor of the Special Olympics Canada Winter Games Thunder Bay 2020 to start the official countdown to The Games. From left, GOC Vice-Chair J.P. Levesque, GOC Games Manager Louisa Costanzo, Goldcorp’s Peter Gula, GOC Chair Barry Streib, Goldcorp’s Aileen Pajunen, GOC Member Paul Burke and GOC Vice-Chair Julie Tilbury. Goldcorp was announced as the presenting sponsor of the Special Olympics Canada Winter Games Thunder Bay 2020 to start the official countdown to The Games. From left, GOC Vice-Chair J.P. Levesque, GOC Games Manager Louisa Costanzo, Goldcorp’s Peter Gula, GOC Chair Barry Streib, Goldcorp’s Aileen Pajunen, GOC Member Paul Burke and GOC Vice-Chair Julie Tilbury. 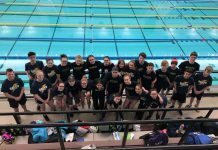 THUNDER BAY – SPORTS – The countdown to the Special Olympics Canada Winter Games officially began today, with the Thunder Bay Games Organizing Committee (GOC) announcing Goldcorp as the Games presenting Sponsor. Volunteers and officials gathered to celebrate Goldcorp’s commitment to The Games. The GOC also shared that “Pure Heart” will serve as the inspiration and theme for the 2020 Games. Other announcements included some early event sponsors, the appointment of the official Games Manager and the introduction of the GOC Executive. The celebration also served to publically announce the appointment of Louisa Costanzo as the new Games Manager. An experienced venue and event manager, Costanzo previously held the position of Senior Manager, Patron Services and Major Corporate Events at the Sony Centre for Performing Arts in Toronto. She has worked on a number of high profile events including the Canadian Screen Awards and Just for Laughs’ Toronto comedy festival (JFL42). 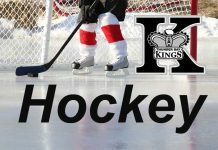 As the Thunder Bay 2020 Games Manager, Costanzo is responsible for the overall operation of the Special Olympics Canada Winter Games, providing leadership to all GOC divisions, facilitating organizational development and planning, managing financial resources and supporting governance processes between the various stakeholders.